Over the years, Air International, has established an unrivalled reputation for authoritative reporting across the full spectrum of aviation subjects. 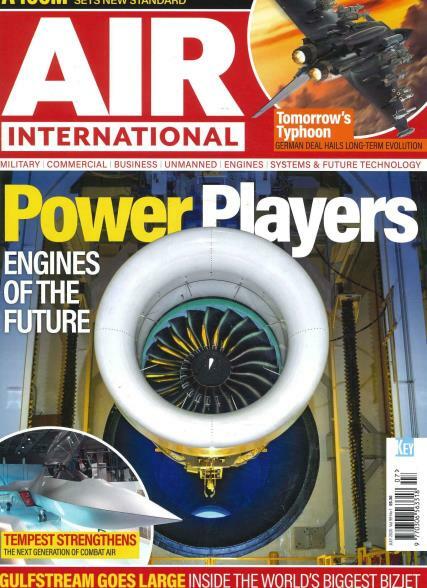 Buy a single copy or subscription to Air International magazine. Over the years, AIR International has established an unrivalled reputation for authoritative reporting across the full spectrum of aviation subjects. With more pages than ever, all still dedicated to commercial and military aviation, we have correspondents and top aviation writers from around the world, offering exciting news, features and stunning photography in each issue. Published monthly, AIR International has more pages than ever, all still dedicated to commercial and military aviation. Our contemporary and colourful design, packed with more images and improved graphics make each page easier on the eye and, most importantly, more enjoyable to read.